I've been a good boy for at least some of the year, so how about someone slaps a bow on one of these and sends it to me via reindeer . 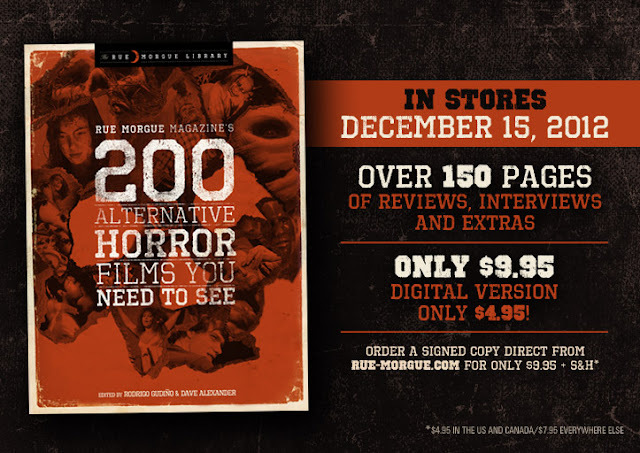 . .
For those not yet familiar with it, Rue Morgue Magazine is probably the finest publication about horror in culture and entertainment currently available. You'll notice Rue Morgue's website link listed in the sidebar. The current issue (#128) has a cover story commemorating the 25th anniversary of John Carpenter's Prince Of Darkness (1987) - good stuff. Digital versions of each new issue (as well as one-offs like the one above) are available on their website or at the Apple App Store if you don't want anyone to see you lurking in a Barnes & Noble. I'll be sure to report back here with my thoughts on this upcoming special issue in the not so distant future.